Keeping up with my Easter Resolution of using my art sketchbooks more, I decided to tuck one in my pocket as I went for lunch with my family today. 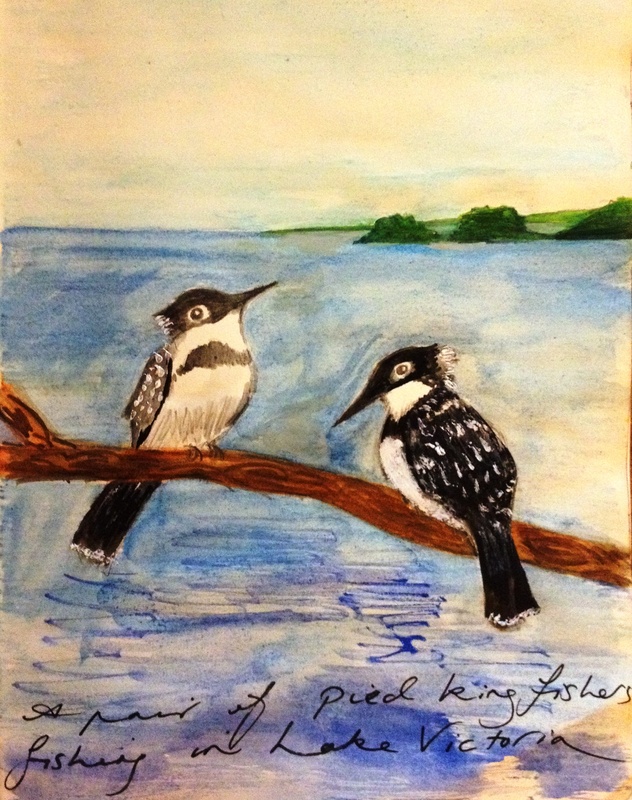 And was so chuffed I did, because at long last I had my first encounter with the beautiful water bird the pied kingfisher. While we were having lunch on the beach at Tunza Lodge near Mwanza, Tanzania, I noticed one, then two, then half a dozen of these eye-catching black and white birds as they darted and hovered above Lake Victoria, looking for fish. The birds hung around most of the afternoon, as did we, so I was able to paint this little image of them. Their black and white colours stand out so well against the bright Tanzanian tropical foliage and I love the crest on their heads which I think makes them look like they have a mini rockabilly quiff. My four-year-old daughter Frida sat beside me, also with her sketchbook and drew the birds too – this was her sketch of what she called the fishing bird (although she used a little artistic license and opted for a more colourful rainbow version). 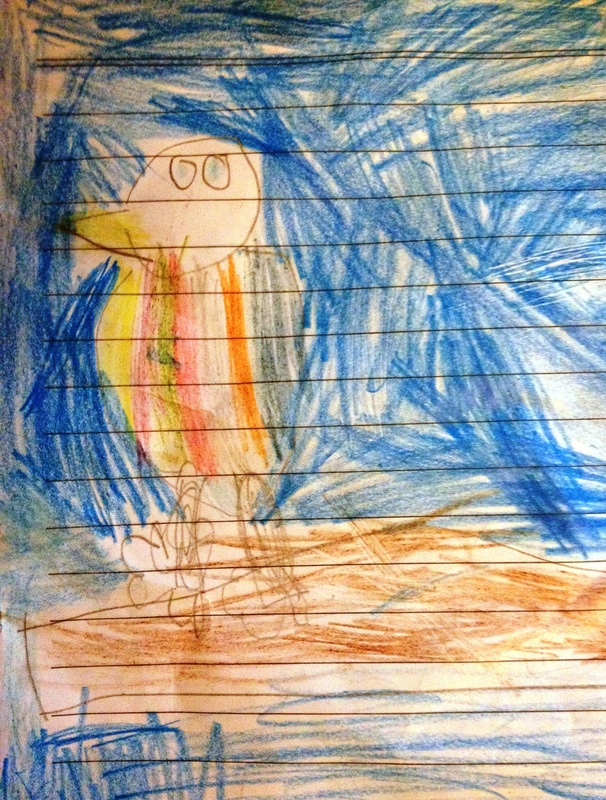 Four-year-old Frida’s sketch of a fishing bird.